Welcome back, I hope 2015 bodes well for all our members. This year the South African market will face many challenges, but we hope that this is an opportunity for alternative solutions and growth in our market. The total amount of stainless steel produced globally has reached a new record high every year since 2013, a trend that seems set to continue in. 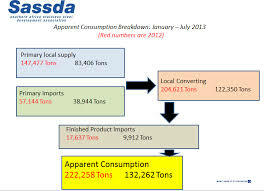 By contrast, the capacity utilisation for South Africa’s stainless steel industry is still below the benchmark of 85%. Figures released by Statistics South Africa in February show that the average capacity utilisation lags behind at 78.8%. The Steel and Engineering Industries Federation of Southern Africa (Seifsa) has ascribed the under-utilisation in 2014 to labour disputes and other production disruptions. 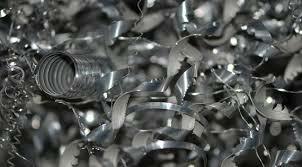 In India, each metric tonne of stainless steel scrap reportedly costs $100 more than in European markets. India buys the largest amount of scrap of any steel producing region in Asia, although its purchasing habits are driven by short-term production requirements and are therefore relatively spot-driven, with Indian steel mills tending not to keep large stocks of scrap. ompetition from Association of Southeast Asian Nations (ASEAN) and free trade agreement (FTA) countries, particularly cheap imports from Chinese manufacturers, is putting pressure on the price of steel globally. Providers of corrugated stainless steel piping, Easyflex SA, are certainly proof of that. With an inventive product and progressive plans for the future, Easyflex SA has hit the market in a big way. Stainless steels have traditionally been specified in applications where the primary requirement is for corrosion resistance. 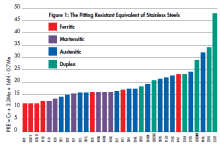 However,since their invention over 100 years ago, stainless steels have also been recognised for other attributes such as durability, versatility, quality, sustainability, hygiene and aesthetic appeal. Grandfather, Major Jock Irvine Crawford, active military duty done, involved himself with the Memorable Order of Tin Hats (MOTH) which was founded to help fellow comrades in need. Lucien Matthews completed his Masters Degree in Material Physics in 1983. During his working career at Mintek he spent a year studying in the field of Metallphysik (with emphasis on texture analysis of metals) at Claustahl-Zellerfield in Germany. 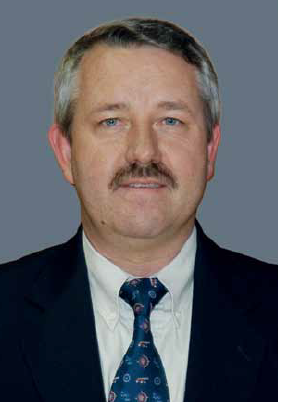 He spent the first seven years of his career at the Council for Mineral Technology as a Research Engineer, and then moved on to Columbus Stainless (Pty) Ltd in 1990 in the position of Head, New Product Technology. Altogether, Lucien enjoyed 21 years at Columbus in various positions before embarking on an exciting challenge as CEO of Bahru Stainless in Malaysia, also a subsidiary of Acerinox, in 2011. Three years later, and Lucien is back in SA and returns to his old stomping ground, taking his place at the helm of Columbus Stainless as CEO.